This is a truly fascinating story, an insight into the lives of those who endured the excesses of the Nazi state at the height of its power. Fallada wrote this book shortly after the war in less than a month, a novel inspired by reading through Gestapo files. It was his last, but one he was very proud to have written. At heart, the book deals with one couple’s private campaign of resistance to the Nazi regime. As Fallada wrote in an article about the novel, “Über den doch vorhandenen Widerstand der Deutschen gegen den Hitlerterror”, his writings were dedicated to their sacrifice that it not be in vain. The core of the book centres on the Quangels, a couple who lose their son during Hitler’s invasion of France, and who strive to offer a token of resistance, by way of writing postcards and letters denouncing the Nazi acts. These political flyers almost unswervingly end in the arms of the Gestapo, who catalogue this defiance and use their ruthless methods in pursuit of the perpetrators, destroying lives as they do so. This, in my opinion, is one of the book’s greatest strengths, its depth of living characters, almost reminiscent to me of a Dickensian world, each role played by a figure of flesh and blood, and not merely props for the main actors to play up against. Thus the novel details episodes in the lives of thieves and prostitutes, Jews and Gestapo inspectors, youth and the permanently unemployed. Aside from the insight into what life was like under the Nazis, the book also offers this strong message of hope. The very premise of the powerless individual trying to make a difference against the faceless society is a strong one. During the sham trial, the farcical nature of events finally sees the otherwise stoical Otto Quangel laughing at his prosecutor, something which many of us should no doubt revel in. 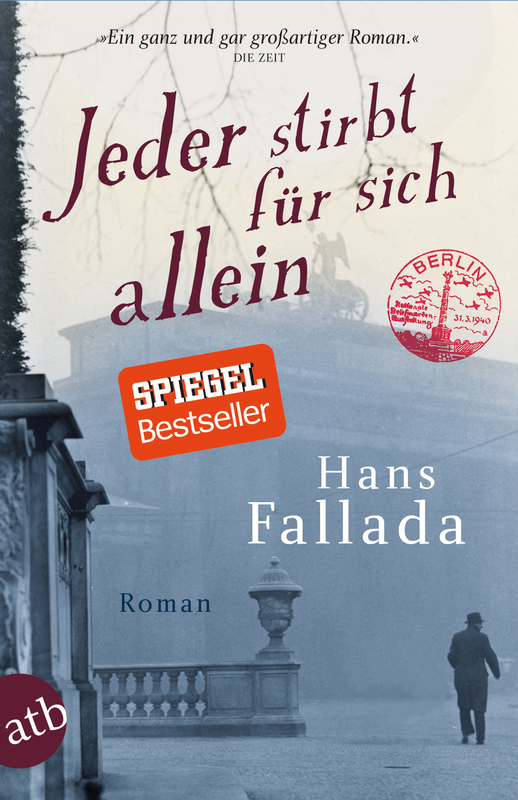 It’s also fitting that Fallada should choose to end the novel with a look towards the future, at the youth who would inherit the responsibility for Germany in post-war Europe. All in all a heartily recommendable read. The glimpse of life in Nazi-run Berlin is fascinating, and the police and courtroom scenery definitely sits in companion to the likes of Arthur Koestler’s portrayal of Soviet excesses in Sonnenfinsternis. It was a surprise to me to learn that the book was only recently translated into English. Finally, a word about the language. As another commenter has written, there is a fair amount of Berlin dialect in the book which for makes for a challenge for non-native speakers and advanced learners, and given the book’s age there are also a fair number of old-fashioned or unusual turns of phrase, but the book is otherwise written in a fairly straightforward style.